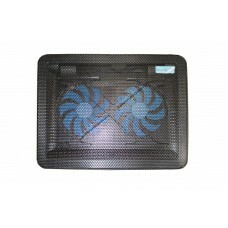 Traditional laptop cooling pads do not have enough clearance below the pad to provide sufficient air flow. Even with the stands extended, they are still practically useless when using the laptop on your lap or in bed with blankets. HAVIT’s unique stand raises the laptop sufficiently to provide more than adequate airflow below the laptop pad while giving you optimal viewing angles whether you’re sitting or lying down. Whether you’re watching a movie or concentrating on work, you will not hear the two large 130mm fans barely spinning at 800RPM. 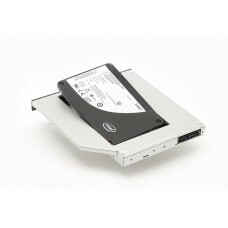 The fans are fully adjustable to give you complete control over the amount of cooling you need. 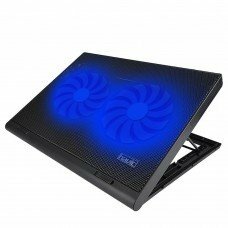 At just 0.82 inches thick 1.6 lbs the HAVIT 14 – 15.6″ laptop cooler is ultra-portable and allows you to quickly pack the stand in your laptop bag after using it on your couch or in bed. If you’re worried about using a USB port on the HAVIT 14 – 15.6″ laptop cooler, worry no more as it comes with an additional pass through USB ports for your convenience.